Auto components industry in India has experienced healthy growth over a last few years because of buoyant end user market, improved consumer sentiment, and adequate liquidity in financial system. 19 million people directly or indirectly are employed under auto components industry. The Indian auto-components industry can be broadly classified into the Genuine Parts and Aftermarket part. Original Equipment manufacturers cater to genuine parts and other manufacturers cater to aftermarket. Some manufactures like Bosch cater to both genuine parts and aftermarket parts also. And then there is entire spectrum of quality, say there is some manufacturer providing very high quality parts even better than genuine OEM manufacturer and on the other hand, there are companies providing really bad quality rip-offs. Spareshub as company provides only genuine parts and high quality aftermarket parts, sourced from reputed manufacturers. Talking about India the industry is changing a lot, first there are more and more car companies opening up their spare parts to the people. There has been regulatory push from the government and CCI to push the acceptance of the genuine parts in the open market. Imports are happening and reputed companies which were not present earlier have entered the Indian market now. The auto component industry has scaled up to 40 billion dollars in 2015 and is expected to grow at a robust rate. This has been driven by strong growth in domestic market and increasing globalization of several Indian Suppliers. Indian Auto component industry has changed a lot, traditionally the information regarding the parts (details like part numbers, fitment details and prices) were not easily available and there was an asymmetry in the information, so some people who had information took blatant advantage of customers and earned huge margins, sometimes even charging two to three times the price of the part from the customers. All this just because the customer did not have information about the price or quality of the part and if the part is not available then the customer is ready to even pay above MRP. Spareshub is trying to solve these inefficiencies which prevail in the market using technology. These technological trend has already take firm roots in US , Europe, Russia , China to some extent but this trend has not permeated into India. For example today still the spare parts required for a vehicle are determined by photographs and not by part numbers but this is changing and Indian Auto component industry is moving towards maturity and technology is playing an important role into it and that is where Spareshub is trying create value for the consumers. Currently ACMA numbers talk only about aftermarket industry that is going to grow to by 30 billion by 2016 but the combination of, the genuine and aftermarket industry is already 30 billion in 2016 .By 2020 the figures will touch about 50 billion dollars. The change that we are talking about can already be seen in the Indian market, Workshops are improving day by day and the perception of the consumer is also changing. The difference in the price of the parts, difference between service and labour is very drastic with respect to independent workshops and company authorized workshops. Earlier the independent workshops were perceived as garages which is operated under a tree and with basic tools used to repair all kinds of cars. But now, there is an entire spectrum of quality of independent garages. Some still repair under the shade of tree but there are also workshops whose mechanics are as well trained as service personnel in authorized workshops. They also use latest tools and modern equipments and follow a professional approach in repairing the best of the cars. Another important thing to note in the Indian automobile industry is that the DIY trend is not so prevalent because the cost of labour is cheap compared to countries in the west. As a matter of fact the DIY trend in US is not above 45%. This trend has more acceptance among countries in Europe, Russia, etc because the people are few, the cost of labour is high. Hence the DIY trend in India will take time to pick up. The absolute number is increasing from say 3% to 6 % but we don’t forsee that number increasing substantially, say to 60% in the forseeable future. 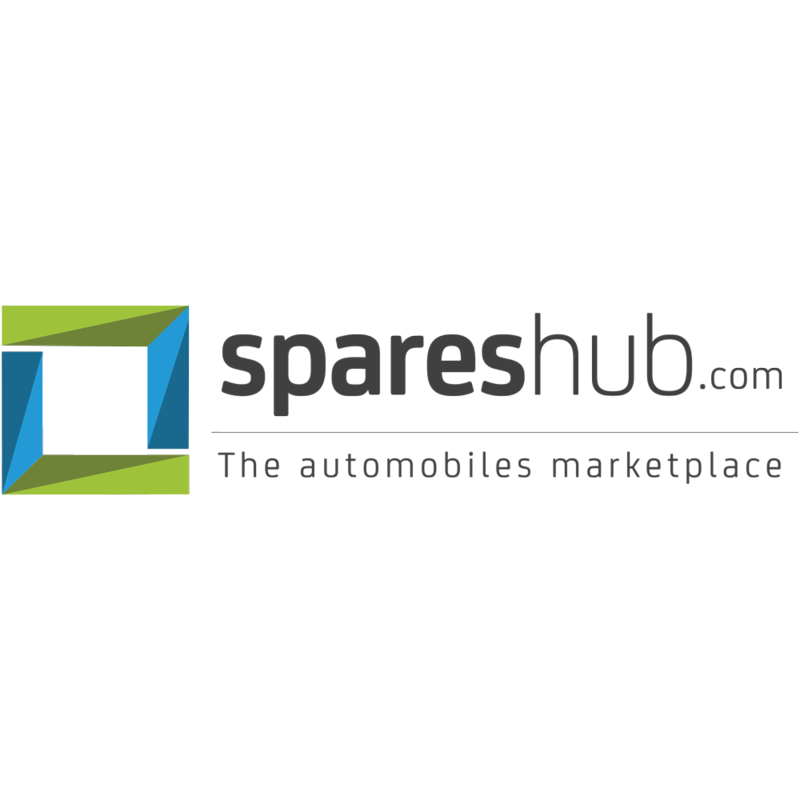 In the coming years Spareshub aims to be positioned as a as “Mass Retailer” or “Distributor” to the workshops powered by technology, with presence across India, and provide a transparent and a professional source for procurement of parts to B2B consumers.